BenQ have announced a new 4k 27″ monitor. It’s similar to the 27″ SW2700PT that Keith reviewed a while ago, whilst its functionality expands on the 32″ 4k SW320 Keith reviewed last year. We’ve had one here for a bit to test and Keith has written up a full SW271 monitor review, trying it out on his MacBook Pro laptop and Mac Pro desktop. The HDR inputs were also tried with the Apple TV 4k and a 4k HDR blu-ray player. 23 October 2017. BenQ, an internationally renowned provider of visual display solutions, today introduced a new 27” 4K UHD monitor that offers professional photographers unprecedented colour accuracy through new AQCOLOR technology, high specifications and a picture-perfect performance. 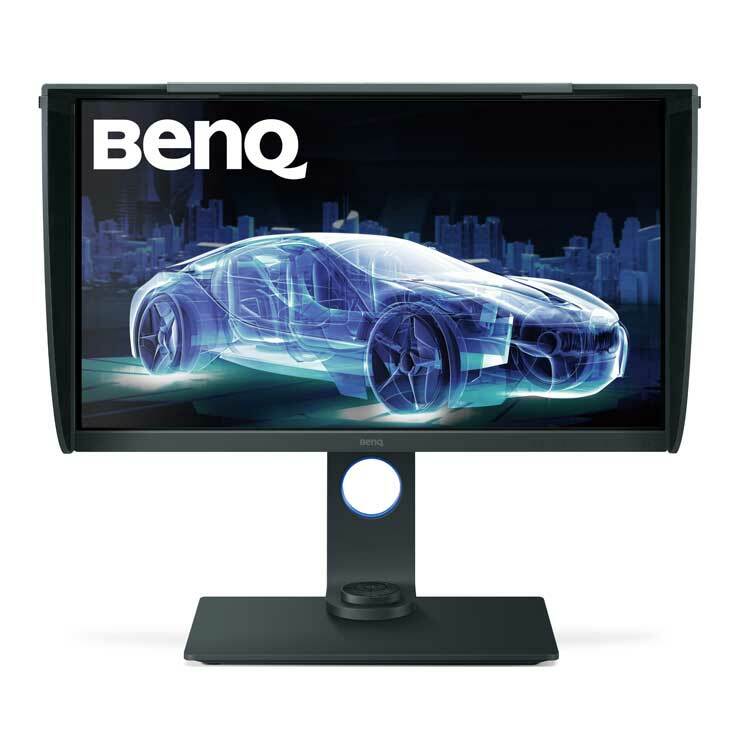 BenQ’s range of colour critical monitors are distributed by XP Distribution in the UK, France, Spain, Germany, Poland and the Nordics. XP Distribution is Europe’s leading distributor of hardware, software, accessories and consumables into the digital imaging, video and graphics market. 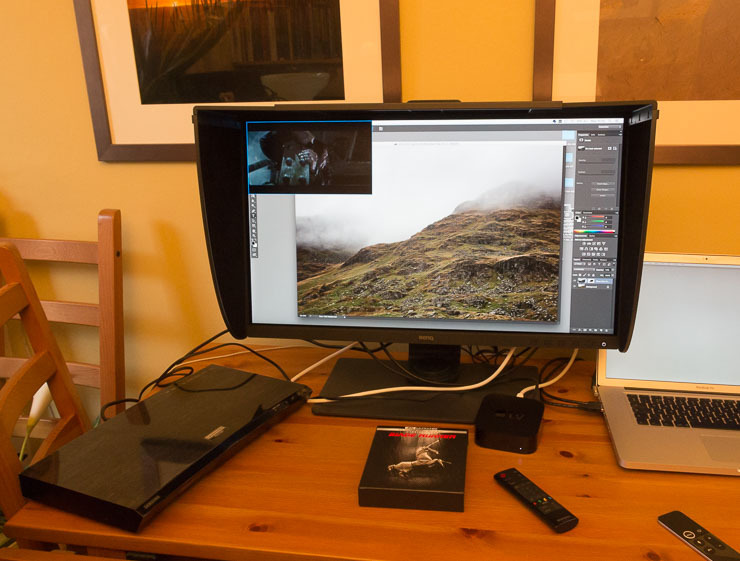 Photo below is from Keith’s review – testing the SW271 – inset (PiP) image is from the new Apple TV 4k, with HDR Blu-Ray player also connected.